If you have scented candles or appliances in your home, flowery shampoo or fragrant laundry, and you don’t want to mess up your kids’ hormones, this is really important. 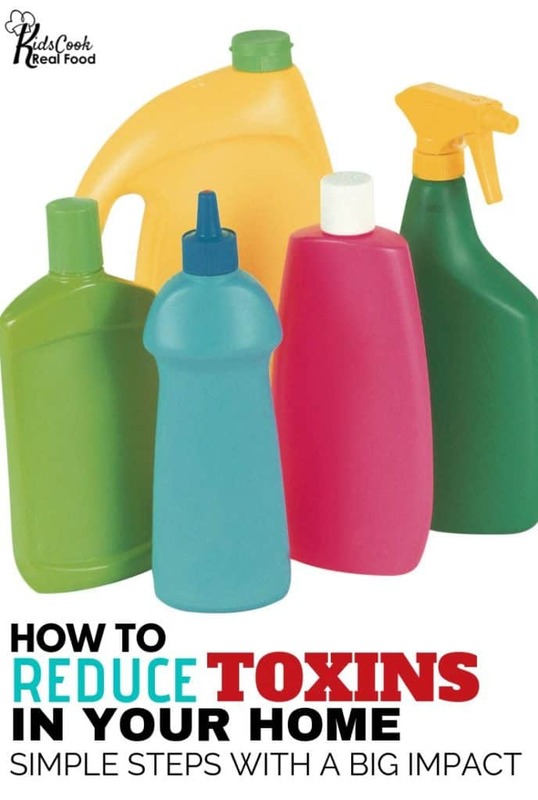 When I asked environmental toxins expert Lara Adler what one simple step parents should take to begin cutting toxins out of their home, she answered “focus on fragrances” without hesitation. She explained that the word “fragrance” is seriously unregulated and often contains phthalates, endocrine-disrupting chemicals, and we should cut any of those smelly things out of our lives. Literally 10 minutes after finishing that interview, I was nearly knocked over by the artificial scent in my daughter’s classroom at parent-teacher conferences, and I was so unsettled by it affecting all those pre-pubescent children that I ended up sending the teacher a 2-minute video cut out from this longer one. She was open to learning and immediately said she’d ditch the fragrances in the room! I felt so great about that, I sent it to some of my son’s teachers in the middle school, because apparently they had scented candles in the classroom too. So happy the science teacher was open to change as well! Why “everything in moderation” goes not belong in our language, even though we appreciate the baby steps. Practical ways to reduce our body burden AND fix that leak through detox! What one change can reduce body burden in that category by 85% in just 3 days! Yep, we can’t protect our kids from everything – why our bodies were made to handle some junk and how to deal with it best. The 6 detox organs and how to optimize each one. 0:51: Lara Adler is a Certified Holistic Health Coach and Environmental Toxin Expert who is a resource for health practitioners. She helps them understand how to best help their patients live a low-tox lifestyle. 1:58: We are going to split this interview into three categories: why we should worry about toxins, the idea of toxic load and some practical ways to reduce it, and how to help our kids detox and handle the toxins they will inevitably encounter. 3:14: Lara shares how she came to specialize in environmental toxins. The field of environmental health has been around for a long time, but wellness practitioners were not talking about it. Lara noticed this gap and wanted to bridge it. She began working with practitioners to give them information and strategies to pass on to their patients. 5:18: Diet, stress levels and sleep are all areas we look at when improving health. Toxic exposure needs to be just as important as these areas. 6:51: We go into some examples of the ways in which our environment might be harming our physical (or mental) health. Asthma, allergies, gut dysbiosis, hormone imbalances, weight gain, autism spectrum disorders, sensory issues, anger and aggression, anxiety and depression, early onset puberty, birth defects are some of the symptoms seen in kids that can be linked to toxic exposures. 10:53: Our bodies are very capable of healing and handling toxins when we support them by reducing toxic exposures and optimizing our lifestyle and detox capabilities. 12:06: Environment is everything! Stress, sleep and what we eat are all part of our environment, but we can’t ignore the chemicals that we’re being exposed to on a daily basis. 12:36: The government is monitoring levels of certain chemicals in people. We know that our bodies are absorbing them. There are 84,000 chemicals registered for use in the US and only 200 of them have been “adequately” tested for safety. So far, the CDC has found over 212 chemicals in people. Some of them have been found in up to 98% of people tested. 14:26: There’s so much we can do to impact our health. For a long time, we thought that our genes determined our health and were fixed. Recent research shows that this is not the case. Epigenetics is the study of how gene expressions change. 15:06: Lara explains epigenetics. If your genes are the hardware of a computer, the epigenetics are the software. The computer itself doesn’t change, but the software tells the computer what to do. 15:26: We can change our genetic expression for better (or worse!) through lifestyle choices. Many things we know to be unhealthy like smoking, drug use, lack of exercise, poor sleep, poor diet, and high stress can change our epigenetics towards disease, but the opposite is also true! 16:34: If that is not amazing enough, you can actually pass on the epigenome to your children! So if you turn on good gene expressions, your kids will inherit the good expressions. 17:10: Lara shares one practical change parents can made in food habits to reduce toxic load. 17:35: Food is our primary source of exposure to pesticides. Pesticides like glyphosate and atrazine are found in 95%+ of people tested. Our bodies are capable of filtering out these pesticides very quickly. 18:39: There have been a couple studies looking at people who switched from a conventional diet to mostly organic. They found a reduction of circulating pesticides of 80-90% within 3-5 days! 19:45: Lara explains the idea of “body burden of chemicals.” Our bodies have the ability to metabolize and detoxify many chemicals. Think of your body as a bucket with a drain hole at the bottom. The drain hole is your ability to detox. If you are actively filling the bucket faster than it can drain, it will overflow. Overflow is the tipping point to chronic health problems. 21:09: Because we’ve been ignoring the issue of chemicals for so long, our buckets are filling up, and up, and up. We need to slow down the water input to allow the buckets to drain. Then we can focus on nutrient dense foods, optimized sleep, and lowered stress and make the drainage hole in our bucket bigger which allows us to efficiently eliminate the toxins we can’t avoid. 22:26: Listen for another analogy Lara likes to use to explain toxic burden and detoxing. 24:11: What we put on our skin matters. Lara shares her tips for a non-toxic bathroom. Based on the CDC findings mentioned above, we know that there are sunscreen ingredients, fragrance compounds and preservatives found inside us from topical application. 27:06: Lara recommends people start by avoiding anything with “fragrance” as an ingredient. It will usually be listed towards the bottom of the ingredients. “Fragrance” is a catch-all term that can contain up to 3,000 ingredients to create the smell. Fragrances are considered a trade secret, so the recipe is not required to be disclosed. 28:13: One potential ingredient used in fragrances to help the scent stick to our bodies or our clothes is phthalates. There are different types of phthalates and they are endocrine disrupting chemicals. They absorb through our skin and through inhalation. 29:16: Now this doesn’t mean we need to use all scent-less products. Look for products with plant-based essential oils that are clearly stated on the label. You want to see specifically labeled components. 30:47: The other thing to look for is ingredients containing “paraben” or anything that ends in “-araben.” This is a preservative, and an endocrine disrupting chemical. 31:59: Parabens can actually occur naturally as well. This is used in the chemical industry to claim that they must be safe, but naturally occurring and synthetic are two different things in our bodies. 32:49: It’s easier to find a few good brands and stick with them, rather than memorize a list of things to avoid. Lara includes her recommended brands in her course. Thankfully, the list is growing and growing due to the demand. 34:05: So many people are sensitive to fragrances without realizing it. If you get a headache, dizzy, or disoriented after walking down the detergent aisle, burning a scented candle, or riding an elevator with someone wearing strong perfume your body is telling you something! 34:52: Home fragrances are another category to watch out for. If you have any air fresheners (sprays, gels, plug ins) or candles just throw them out! You’re polluting the air inside your home everyday by using them. 35:27: Children are more susceptible to these toxic chemicals. They also breathe more air, drink more water and eat more food pound for pound than adults. Because of this they’re disproportionately exposed and less able to handle it. 36:04: There was a study that looked at one family (parents, a child and a baby) to determine the chemicals contained in their blood and urine. The baby had the highest levels of toxic chemicals. 37:04: We talk about supporting our detox. The number one thing is to eat lots of fruits and vegetables. The fiber helps move toxins out of the body faster. Pooping if our number one detox pathway. 38:22: We have five detox organs: liver, kidneys, colon, lungs and skin. We want to support all of these. 38:43: Some foods that support detox are broccoli, cabbage, kale, garlic, onions, and antioxidant rich foods. Drink filtered water. Sweat regularly. Saunas are a great way to detox. Sleep is also important to allow our bodies to detox. Dandelion tea is good for liver function. 41:10: We want to make sure our food is not just rich in vitamins and minerals, but also supports our body’s ability to detox. 42:04: If you’re not pooping at least once a day, all the toxins are being reabsorbed into your body. It’s not just about comfort, we need to get those toxins out of our bodies. 42:38: Toxin exposure typically won’t make you acutely sick right away. People will say “I’ve been using this for years and I’m fine.” But many people aren’t fine. Hormone imbalance or a thyroid condition can be the result of years of chemical exposures. 43:29: Set reasonable goals to gradually reduce your toxic exposure. 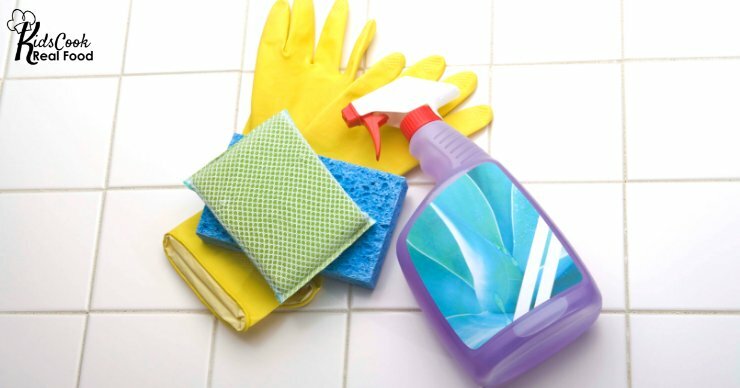 You can move through categories or rooms one at a time swapping out your personal care products, cleaning supplies, laundry detergent, plastics, bedding, etc. It doesn’t have to happen overnight! 44:50: Lara shares the one thing she wants you to remember from this interview. 45:44: Women are the primary buyers in the marketplace and we can make changes in what’s available. It was moms behind getting BPA banned from baby bottles. 47:16: Lara give some small, practical steps to encourage you to start today! 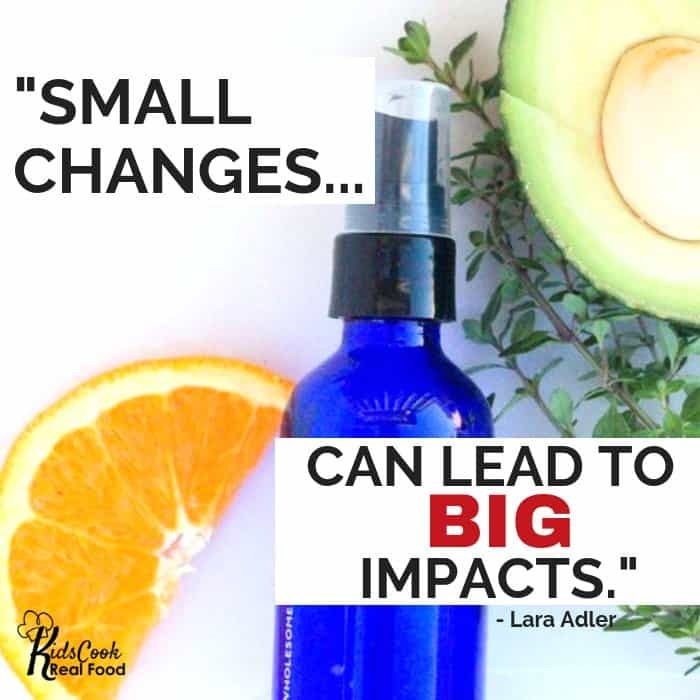 Lara Adler is a Certified Holistic Health Coach and Environmental Toxins Expert who has become a go-to for health practitioners who feel like they can’t possibly research everything, but know their patients need to learn how to live a more low-tox lifestyle. She’s worked with 1000s of practitioners in over 24 countries to help them understand the links between the chemicals we’re exposed to in daily life and chronic health conditions none of us want to endure. Her 3 guiding principles are a perfect fit for our baby steps and grace – 1. Keep it simple and actionable (Small Changes can lead to BIG Impacts), 2. Focus on the positive (there’s always something we can’t do anything about – let’s talk about what we can), and 3. Sound, not sensational (it’s all about research and no scare tactics). She loves Matcha, both the drink and her cat. 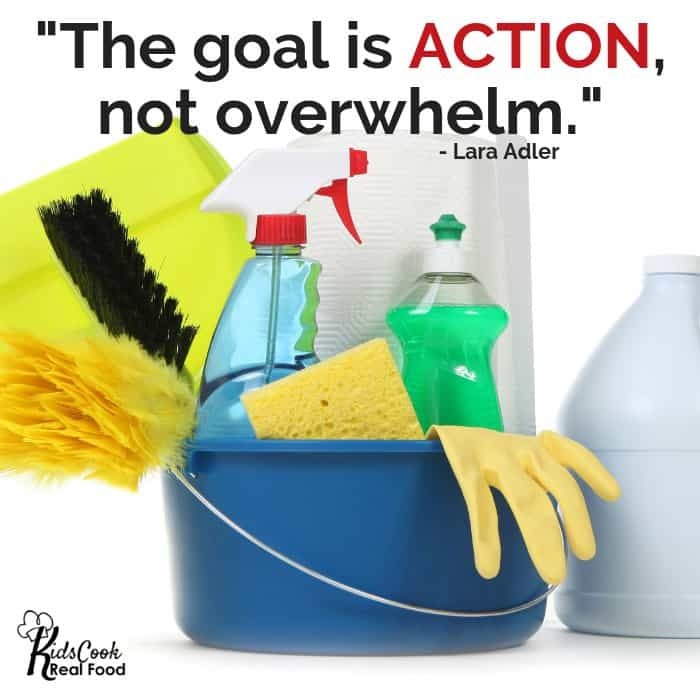 Learn more from Lara here in her basic intro class to non-toxic living.